Baia Bianca Suites, the most captivating Elba Island resort, part of the Gulf of Biodola (one of the most beautiful beaches of Tuscany), with services of a 5-star hotel, ideal for tailor-made stays for a family (family friendly hotel), a couple or singles, for wellness breaks to rejuvenate your body and mind. 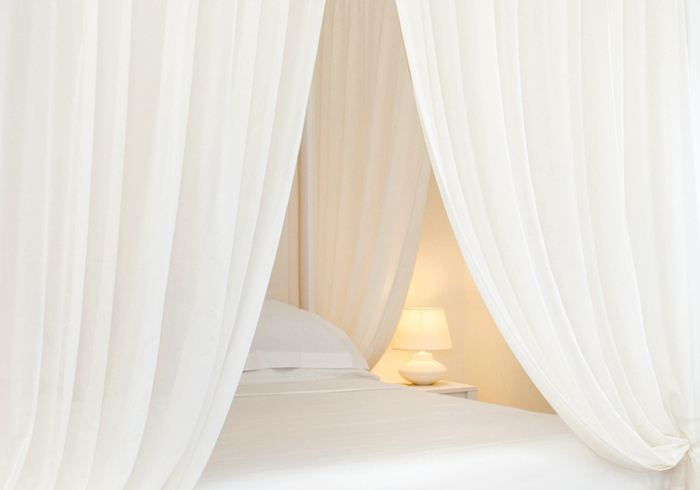 A highly prestigious resort in Tuscany where discreet luxury meets tradition. 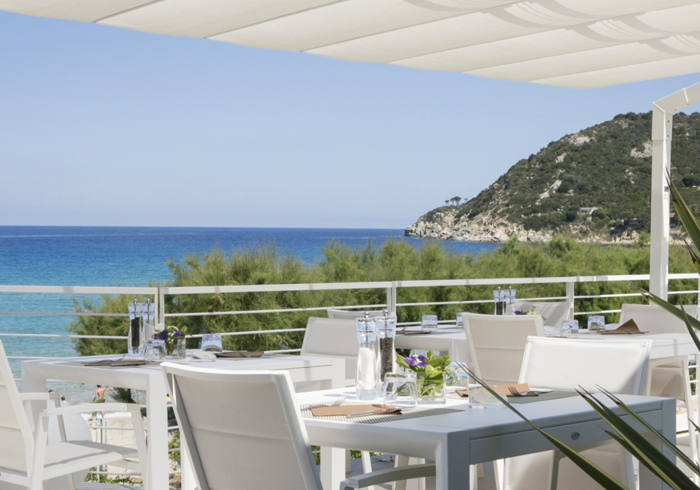 The authentic setting of Elba Island merges with details that define a new and innovative form of deluxe hospitality. Each room and suite are bright, spacious, elegantly decorated, and include excellent amenities. A relaxing atmosphere pervades the resort, designing a place of total privacy, relaxation and entertainment, perfect for couples looking for a romantic alcove for a honeymoon, for families searching for a vacation away from the stressing rhythm of everyday life and also for groups of friends eager to accept numerous proposals of excursions and breathtaking experiences. The high standard of our restaurant is expressed in traditional dishes, international cuisine, and the quality of ingredients we use: chosen with care, always fresh and genuine. Our original recipes will bring you to the gourmet heaven! An excellent complex with elegant design, situated in a unique natural context of finest sand, crystal clear Caribbean waters, embraced by the Mediterranean maquis and its sensual aromas, of a light salty breeze.